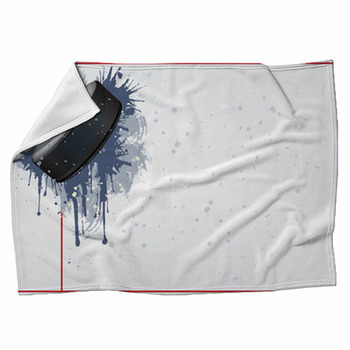 Wrap up the hockey season with a star-studded lineup of fleece blankets. Put the king of goaltenders back in the net and spread a perfect butterfly across your shoulders. Give some red and blue generic figures skates and sticks and get them off of doors and onto ice for a Stanley Cup Spring picnic. 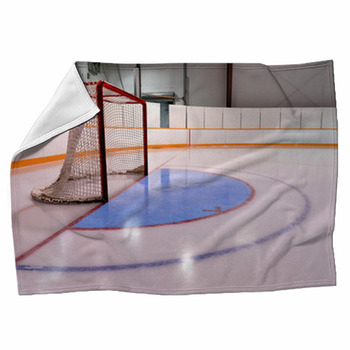 Lay some cool ice and blue tones on your bed with a custom hockey blanket. 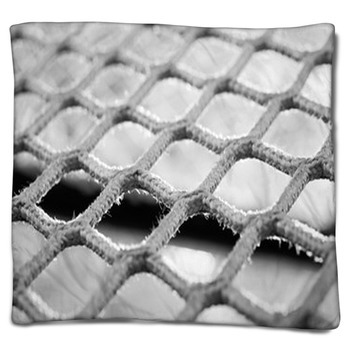 This collection of designs brings you the blur and clarity of hockey on throw blankets that are ready to be the top line of your décor. Take cover with the perfect angle of a wingman flying down the boards against an awesome snow seal of blue polka dots spiraling from pale skies to deep aquamarines. 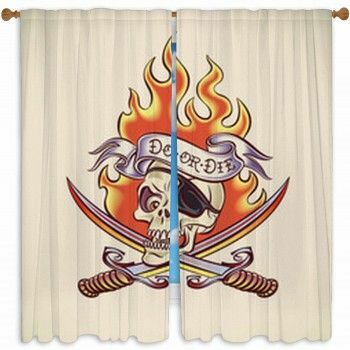 Shatter some stillness and bring some electrified rock to the room with the punk pinks and purples of a lightning bolt flash on your hockey blanket. 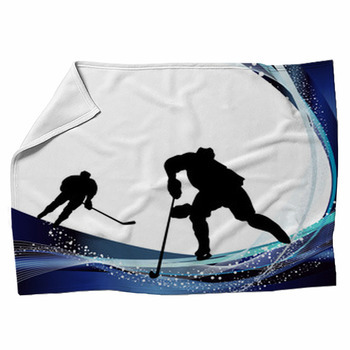 Let the familiar colors of maple leaves and superheroes play on a swath of aqua brightening up the couch with matching hockey themed throw pillows. Wait for the puck to come out of the face-off through a force field of blue dots wrapping themselves around you in the darkness of that space beyond the spotlights. 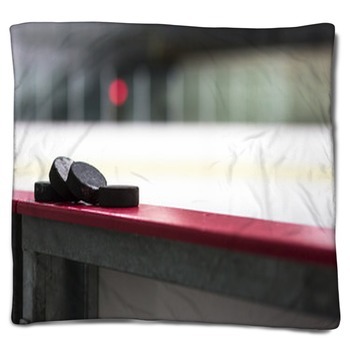 These hockey themed blankets are as diverse as the greats. Put some circling red wings on a custom fleece blanket. Bury yourself under an avalanche of shots on net with the world’s best goalie making saves right and left. 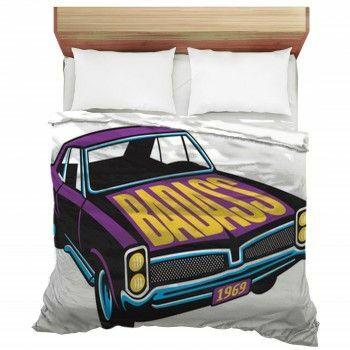 Get into the zone with a ranger swooping in on your bed. 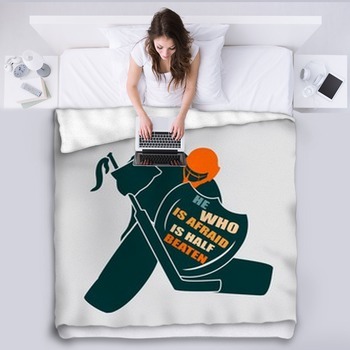 Drop the puck and slap a one-timer onto a custom hockey bed blanket.